Stolichnaya Elit. Elite Vodka commemorates the 500 anniversary of Vodka production in Russia using a modern method of freeze distillation process that achieves high levels of purity. Elite was created with a grain of winter and three times distilled. The freezing method used to purify Vodka is made using a cold container, dirt come in contact with the walls of the container and freeze. The pure vodka is what remains in the liquid state. This ancient method was used in Russia where the vodka is produced on a home and kept in frozen storage. 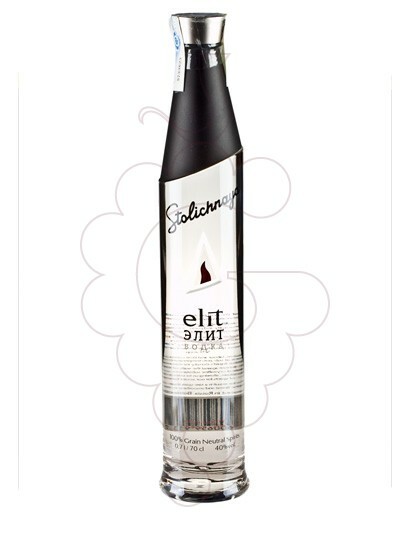 Vodka Stolichnaya Elit, one of the more than 9000 products you can find in our online shop.